Burnt Micro, originally uploaded by mrtoastey. Lucy, god bless her, learned some things about toasting coconut flakes and how, sometimes yr. toastin' 'em? and then? 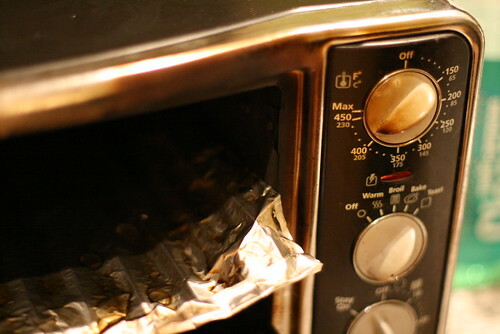 when you open the toaster oven door? FLAMES BURST OUT? Lucy's okay. Even the toaster oven's okay. The flaked coconut doesn't really exist anymore, at least not in that form. And something like that'll make you wonder where your fire extinguisher is. Where's yours?